The Great Himalaya Trail is one of the highest and longest trails in the world. 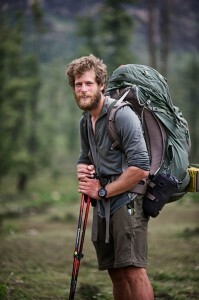 Between April and June of 2013, Doc McKerr became the first person to solo trek the Great Himalayan Trail on a 65 day, 1480 km trek in Nepal from east to west. His route took him through some of the world’s most amazing and difficult landscapes as he trekked through Himalayan foothills, forests, jungles, and remote villages. In total he passed over thirteen 5000+ meter passes and reached two 5000+ meter base camps while exposed to all kinds of weather conditions. You can learn more about his adventure at east2westnepal.org. Doc McKerr, welcome to The Pursuit Zone. This is a great achievement by the Doc Mckerr. With all the high passes, bad weather and doing it alone is just remarkable. I have immense respect for his achievement and as a person.